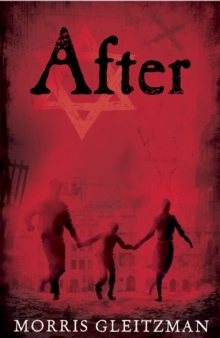 After is the fourth shocking, funny and heartbreaking book in Morris Gleitzman's Second World War series. After The Nazis took my parents I was scaredAfterThey killed my best friend I was angryAfterThey ruined my thirteenth birthday I was determined to get to the forest, to join forces with Gabriek and Yuli, to be a family, to defeat the Nazis after all'Haunting . . . dangerous and desperate, but also full of courage and hope' - Guardian'You will laugh . . . prepare for shock and tears' - Sunday TimesAfter is the fourth in a series of children's novels about Felix, a Jewish orphan caught in the middle of the Holocaust, from Australian author Morris Gleitzman - author of Bumface and Two Weeks with the Queen. The other books in the series, Once, Then and Now are also available from Puffin.